From time to time, I share some memories from my youth, which in turn, shows my age. As you know, I'm 39, so I grew up listening to Debbie Gibson, smelling like "Electric Youth" and spending my babysitting money to buy all the Natural Wonder makeup she was wearing in one of her magazine ads. It's funny how it cost me a whole $20 or $30 to make up my entire face (I think I bought the same foundation, powder, blush, eye shadows, mascara and lipstick pictured in the ad; I was devastated the day my favorite lipstick was discontinued). These days, I wonder how natural those Natural Wonder products actually were, and I'm happy to find healthier alternatives, like the ones from 100 Percent Pure. I'm so honored to be one of the company's approved bloggers, so I can have more opportunities to share amazing Pure products with you. These colors remind me of my "Electric Youth." In fact, the melon lipstick is very similar to the discontinued Natural Wonder one I mentioned at the beginning of this post (I'm actually wearing it, along with the Pink Grapefruit Lip & Cheek Tint, in the first picture). It also brings back memories of a Cargo lipstick I had that was called Evangeline for Evangeline Lilly from "Lost." It goes well with the Pink Grapefruit Lip & Cheek Tint, which you can see in the swatch above, along with the soon-to-be officially debuted 100 Percent Pure Vitamint Fruit Pigmented Sheer Lip Color in Cherry Tomato. As a 100 Percent Pure Approved Blogger (I even got a badge; I feel so official), I got a preview product sent to me in advance. It comes in a cool twist-up tube, so there's no need for a sharpener. It provides a sheer bright tint that melts onto your lips with contact. It's glossy, moisturizing and minty (it smells fresh and has a slight tingle effect). I can totally see me carrying this in my Espirit purse back in the day. Here's how it looks on my lips. I'm gonna rock it like it's 1999 (actually, it's probably more like 1989 or earlier, but who's counting?). 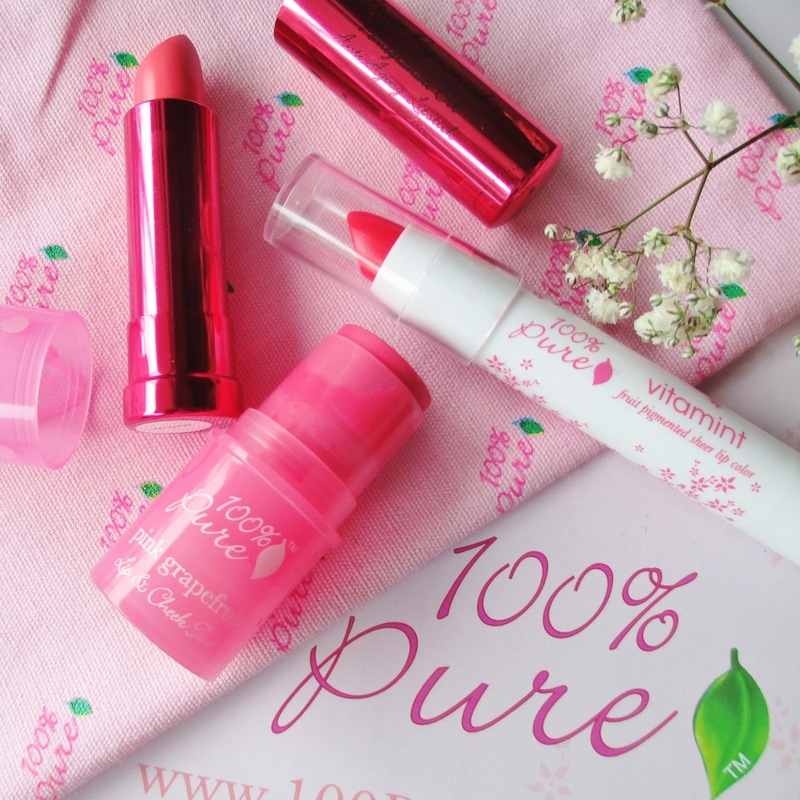 100 Percent Pure Vitamints will be available in other shades, as well. Let me know on Twitter at @Rawdorable or on my Instagram page (also @Rawdorable) if you get your hands on them. Just for the fun of it, here's a Debbie Gibson video from my "Electric Youth." 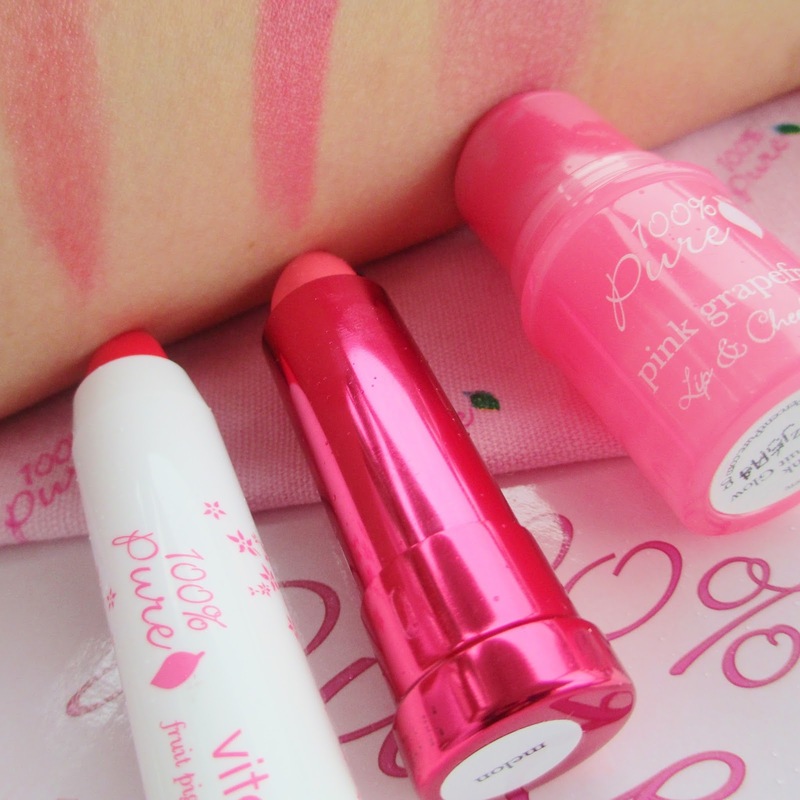 *100 Percent Pure sent me the Vitamint Fruit Pigmented Sheer Lip Color for my review. All opinions are my own.